Thanks to Aaron Dunford of Fusion Peak Professional Cycle Fitting in Australia for sharing his large collection of saddles. 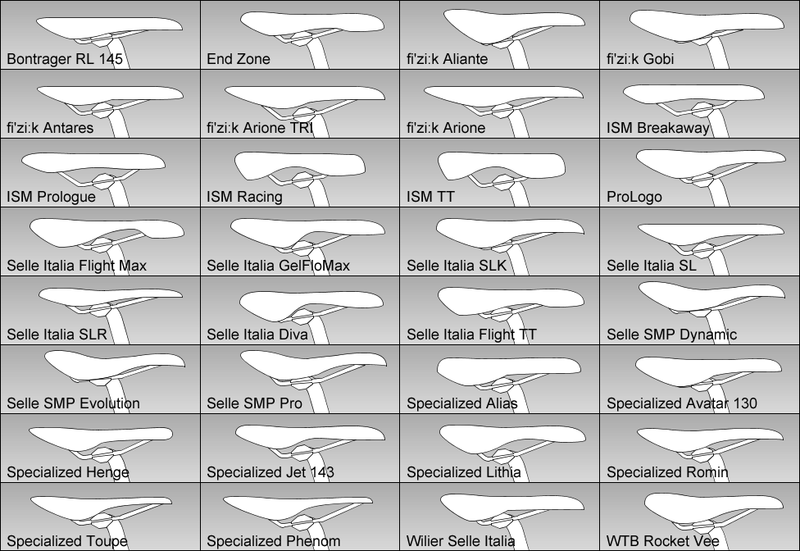 Aaron's saddle designs have been included in BikeCAD version 9.15. 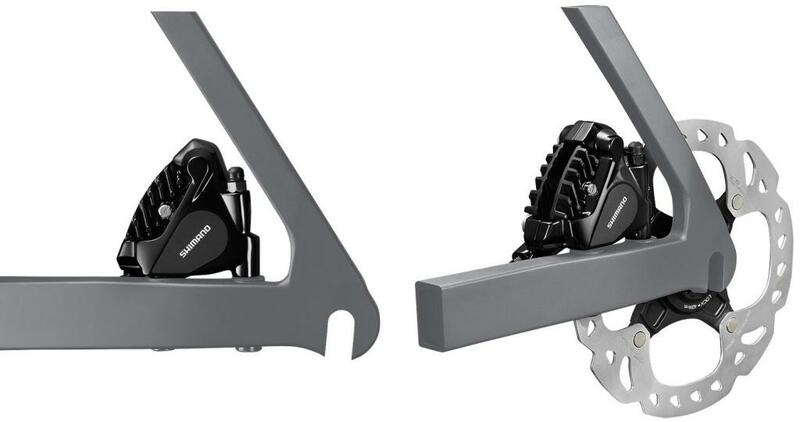 In addition to the saddles shown below, Aaron has also contributed several standard wheels, pedals and cranksets. How do I access these designs in BikeCAD? 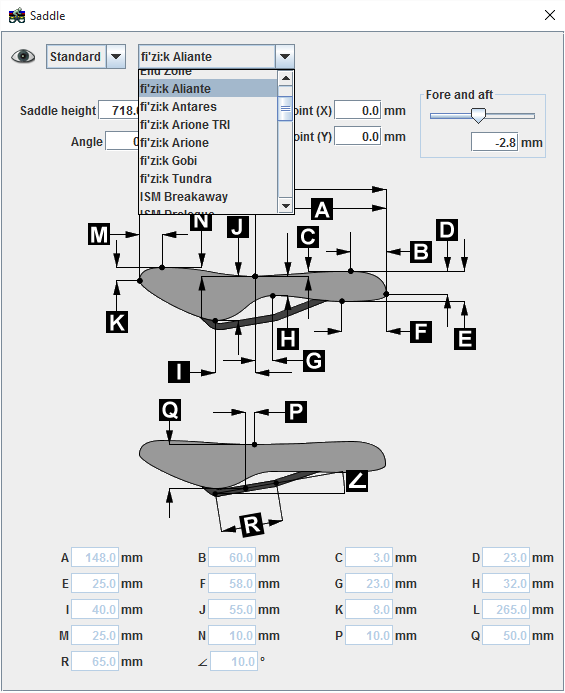 As with any component in BikeCAD, you can access the library of standard saddles, by switching from the "Custom" menu to the "Standard" menu as shown below. How do I upload these to share? What happened to the disc wheel I seem to remember? This section of the forum has been set up for the purpose of sharing standard parts. My initial suggestion was that you upload a bike design containing your new standard part to the Design archive and then post a link to that design here. If you had a new standard saddle as well as a new seatpost, or set of handlebars, you could include all those standard parts in your design. 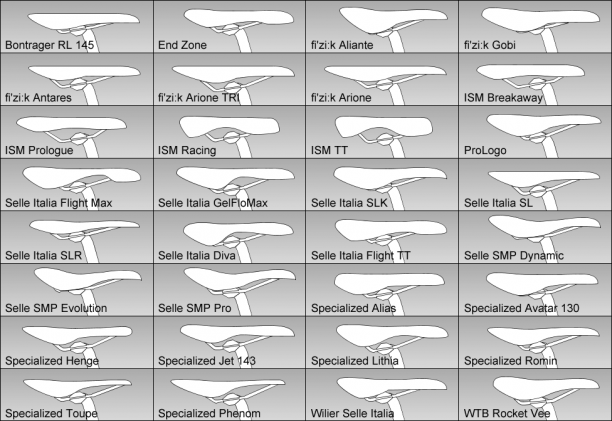 If you had multiple saddles, you could upload different bike designs each with a unique saddle. Ultimately, I won't be able to make these new parts available in the distribution of BikeCAD Pro and in the free version of BikeCAD until I release a new version. 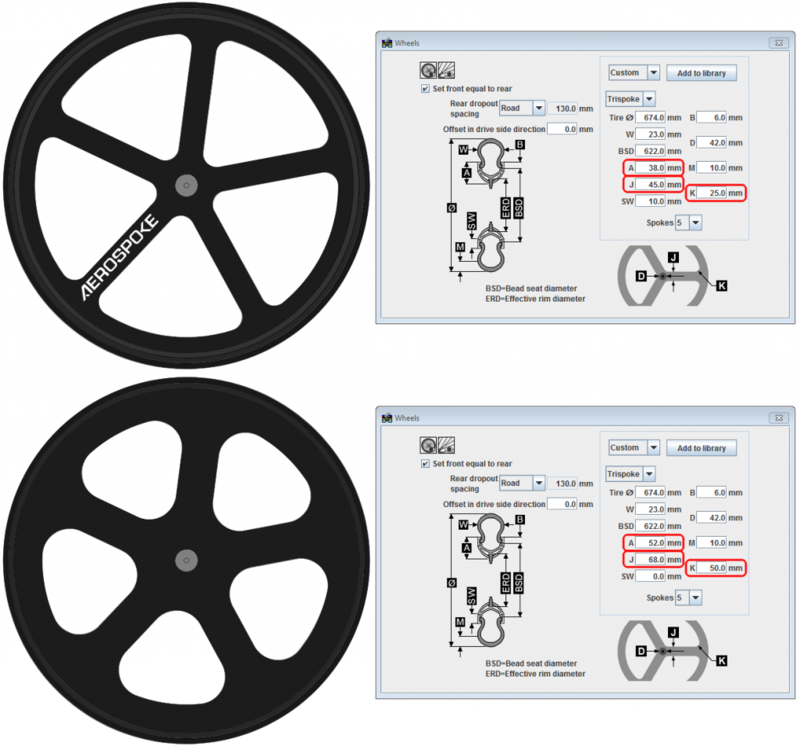 However, if anyone opens your design in BikeCAD Pro your new standard parts will be recognized and the user will be invited to add your new standard part to their own library if they choose. If it's more convenient for you, you can also just e-mail me a copy of your design or the contents of your standard parts library from your configuration folder. Ok, thats where I've missed the disc menu. In the next update can I also ask for a 5 spoke option, for the track bikes? 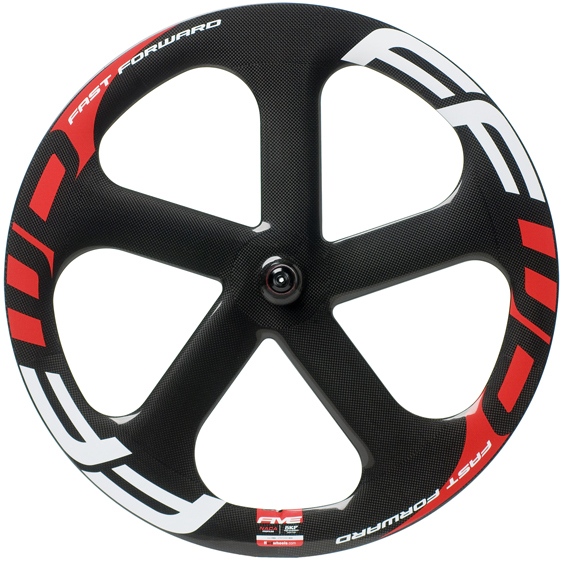 Although the menu is labeled Trispoke for this style of wheel, you are not limited to three spokes. As you can see in the screen capture below, you can can just as well choose 5 spokes if you prefer. Great. I hadn't ever tried thats drop-down menu. There must still be many things I don't know this does. Now to be really picky, can we get a rim depth, and hub diameter option added too? 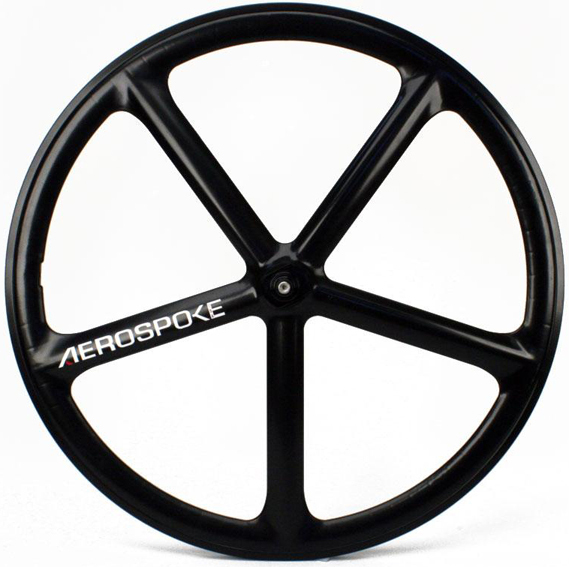 For example an Aerospoke has a much shallower rim section, and a smaller hub section than an FFWD. As you can see in the screen captures below, you can already control these variables. The rim depth is controlled by dimension A. The thickness of material surrounding the hub is a function of the number of spokes, the thickness of the spokes and the radius used. Unfortunately, it's currently impossible to perfectly model the FFWD wheels as the FFWD wheel has three unique radii on each cutout section while we are currently only able to define one radius to be used on all corners. Also, the spokes are offset slightly where they attach to the hub and we are currently not able to define any amount of offset. A lot of frame builders work with top components and I see many of them having road bikes with ENVE CX forks. I contacted ENVE for exact details on the forks and thought it was a good idea to share them here. Perhaps they could even be added to BikeCad since it's such a widely used product? Thank you very much for sharing these forks. Another builder e-mailed me about his interest in these forks just the other day. I have been thinking about adding a library of fork drawings in the same way that there is currently a library of static dropout drawings. 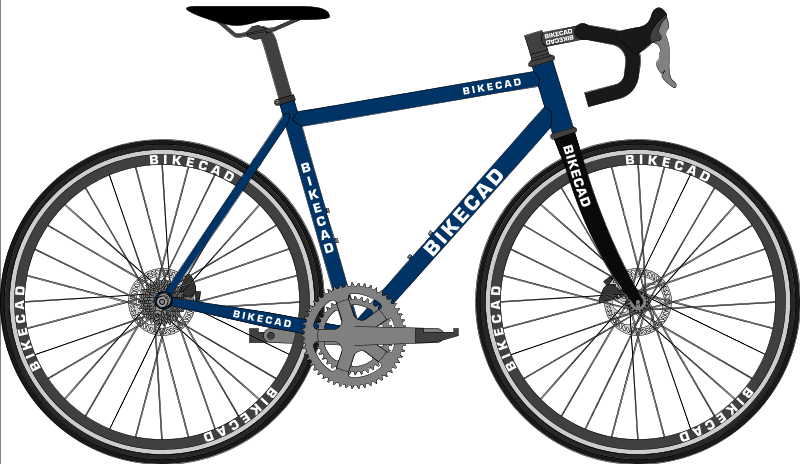 For now, that will have to wait for a future update of BikeCAD. In the meantime, anyone looking to add an ENVE fork to their bike should be able to get the specs off the drawings shared above and enter the dimensions into the Custom section of the Fork dialog box. Once the desired fork has been configured, it can be saved to your standard library by clicking the Add to library button in the Forks dialog box. Hi, i'm new to BikeCAD and i'm busy designing a time trial bike that will have flat mount disc brakes front and rear as well as 12mm thru axles. Will these standards be added to the design librery perhaps? I'd love to be able to use the site to help with all the geometric offsets and standards. 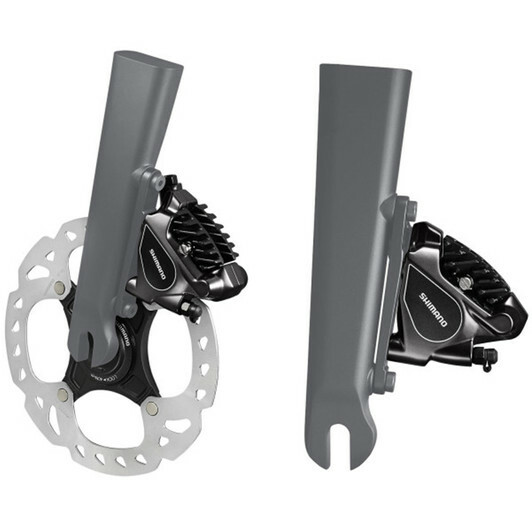 You've always been able to configure Flat mount disc brakes using the Custom disc brake option. 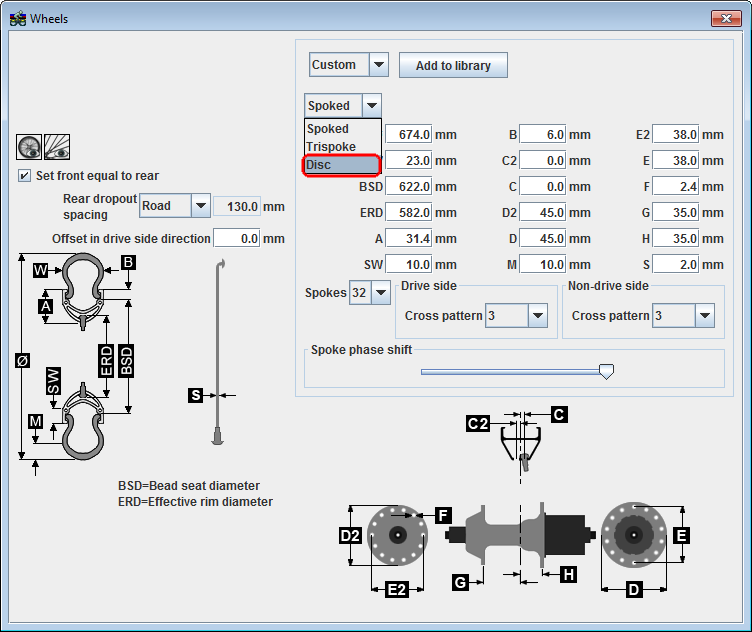 However, for your convenience I've just added a generic flat mount disc brake to the library of standard disc brakes. These brakes can be seen in the sample model at: bikecad.ca/1511339452017.